A younger Norman house with terrace brightened up near the fish market, in front of quays of Touques. 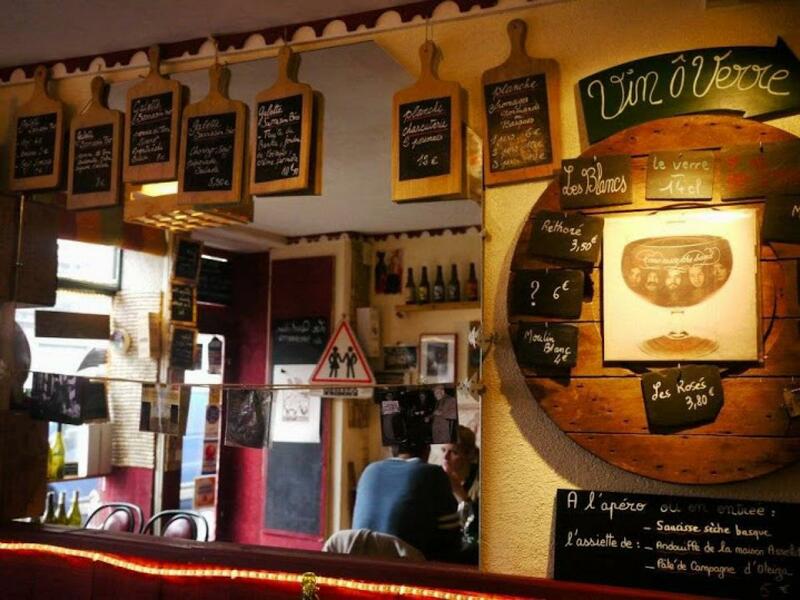 GALETTES au sarrasin and traditional CRÊPES and also FONDUES NORMANDES or SAVOYARDES, FONDUES BOURGUIGNONNES, RACLETTES, Cobb salad, Mussels (in season), To satisfy all the appetites. A cider list offers a selection of regional craft ciders and others to accompany the delicious chef recipes. "Fait maison" and selected regional products are the guarantee of the quality: Norman raw milch cheeses of Controlled Origin Label, organic cider "AOP Pays d&apos;Auge", label and "AOC breton". BEEFS of Norman breeding and Norman smoked ham. 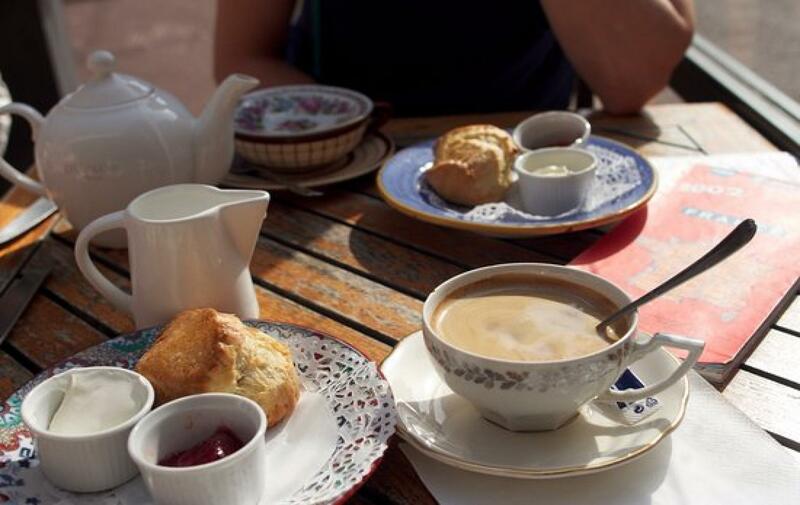 Normandy is known for its delicious food, and where better than La Chaumière to discover the best it has to offer? 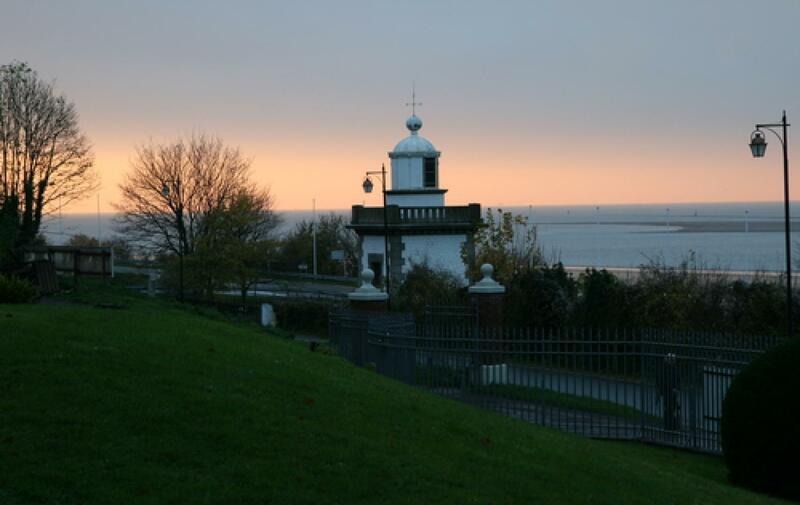 With its magnificent views of the Seine Estuary, you are invited for a flavourful voyage. In winter, a crackling fire in the fireplace puts the finishing touch on this romantic setting. 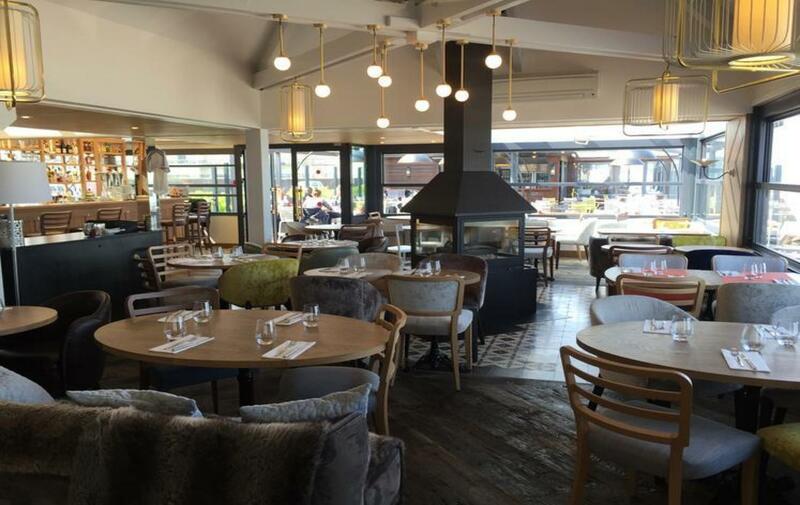 In fine weather, enjoy the outdoor fireplace as you dine on the terrace. Open year-round in Honfleur. Traditional cuisine restaurant with wood burning fireplace, seafood and fish. Nice closed and heated terrace. Possibility of small groups. Regional cuisine restaurant, fish and seafood. Modernly decorated restaurant with a very nice terrace view on the old basin. Terroir and sea products hold an important place and the chef, Jérôme Bansard, associates strictly selected products with subtile flavours for the greater enjoyment of his guests. 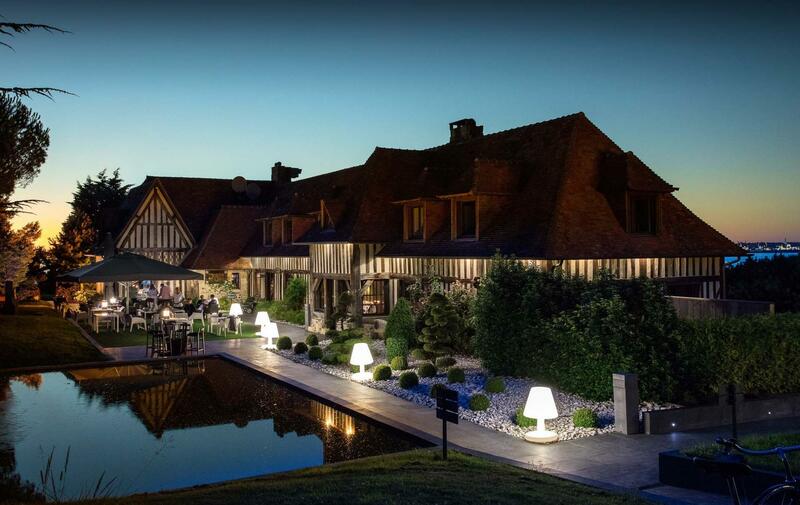 Within the authentic Pays Auge, our one-star Michelin restaurant combines the charm of the venue with the authentic taste of the Norman “terroir”. A real discovery of Normandy and gastronomy. Taking advantage of a privileged location in front of the sea, between Deauville and Cabourg, the restaurant La Digue propose to you an elaborate and creative cooking of the sea and country following the thread of the seasons. The restaurant staff will welcome you in a very warm and modern dining room or terrace with design and colored atmospheres. Located in the heart of Honfleur, on the "Place de l&apos;Eglise" in the old town, the restaurant Le Tourbillon welcomes you in a charming space, decorated in a very refined manner. Ten years after openning their charming hotel, Benoît now offer a table to their guests. In a warm and happy setting, you will be able to enjoy refined and gourmet food. 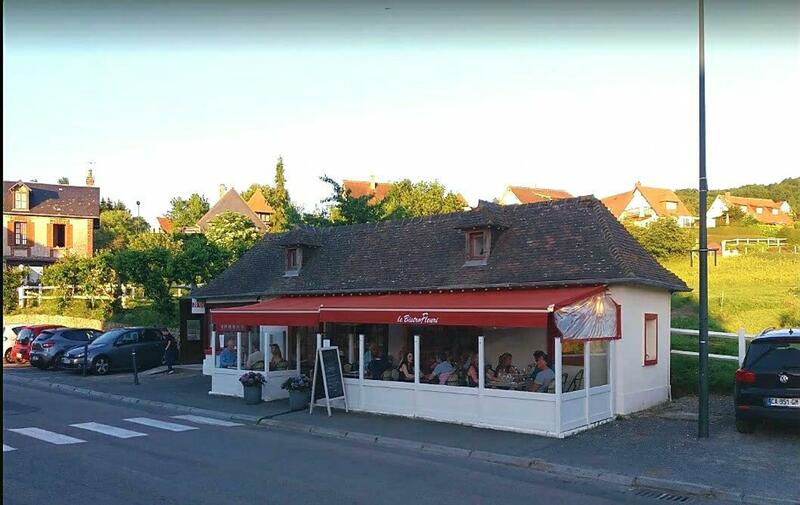 A real symbol of Henri Verneuil&apos;s film "Un Singe en Hiver", the Cabaret Normand is bar & restaurant in Villerville, between Trouville and Honfleur. You will be welcomed in a small warm room that will bring back memories to the fans of the film that starred Jean-Paul Belmondo and Jean Gabin. Simple and homestyle cooking made from fresh products and definately typical of Normandy. A great place to enjoy fresh products after an appetite-opening stroll on the sea front! 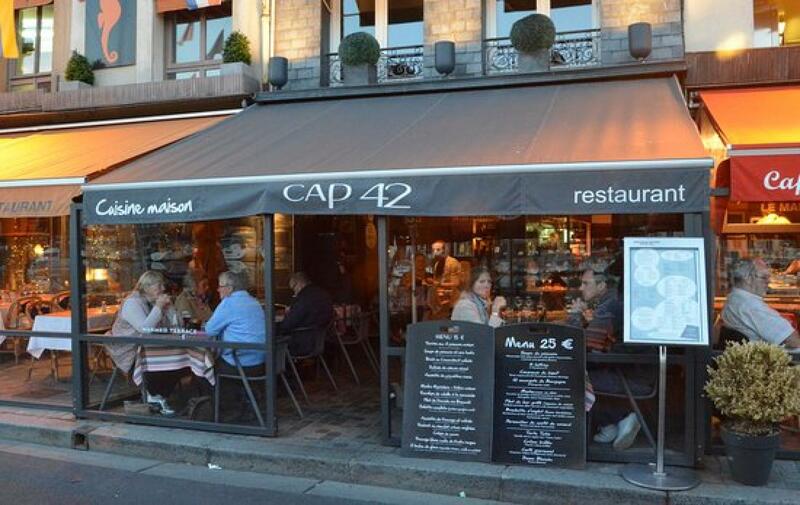 A family restaurant between Trouville and Honfleur, specialized in wines of property. Good, honest and tasty cuisine with a touch of originality that highlights traditional "terroir" produce, while evolving with the seasons. Facing the sea and the beach of Honfleur, the restaurant takes you to the world of the Impressionists for lunch or dinner. The Chef proposes a gastronomic cooking using fresh and local products, from the vegetable garden or its surroundings. The menu varies depending on the season to offer you the best products from our region. The restaurant offers a large selection of wines and champagnes of more than 400 references, selected from family estates. 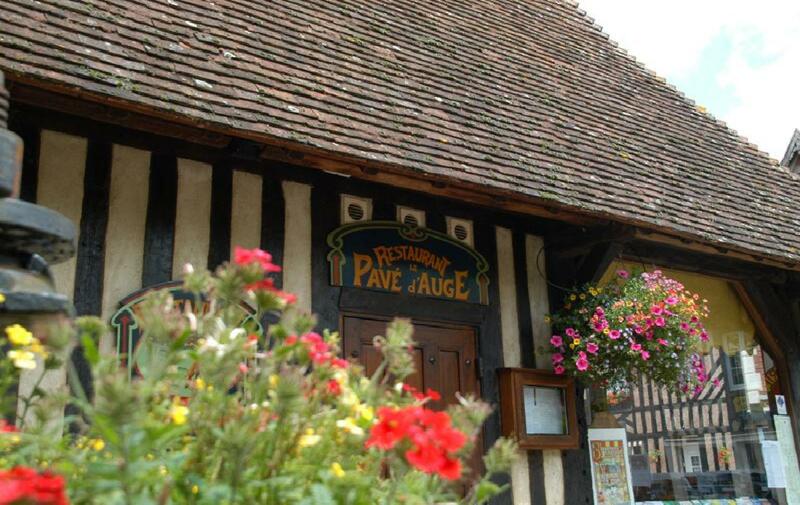 Located in the classified village one of the most beautiful of France, Beuvron-en-Auge, this restaurant offers a great traditional norman cooking, home-made and flavorful. Dishes are always served with fresh seasonal vegetables. 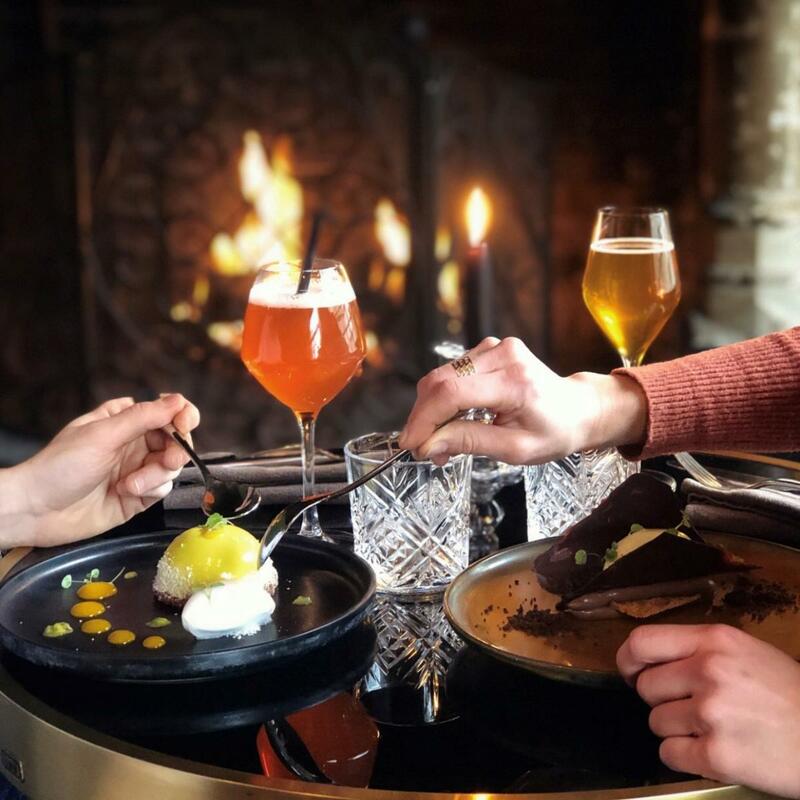 The dining room is very cosy with a typical wood decoration, norman half-timbering and its open kitchen which emphasizes the former forge and allows to see the chef cooking. 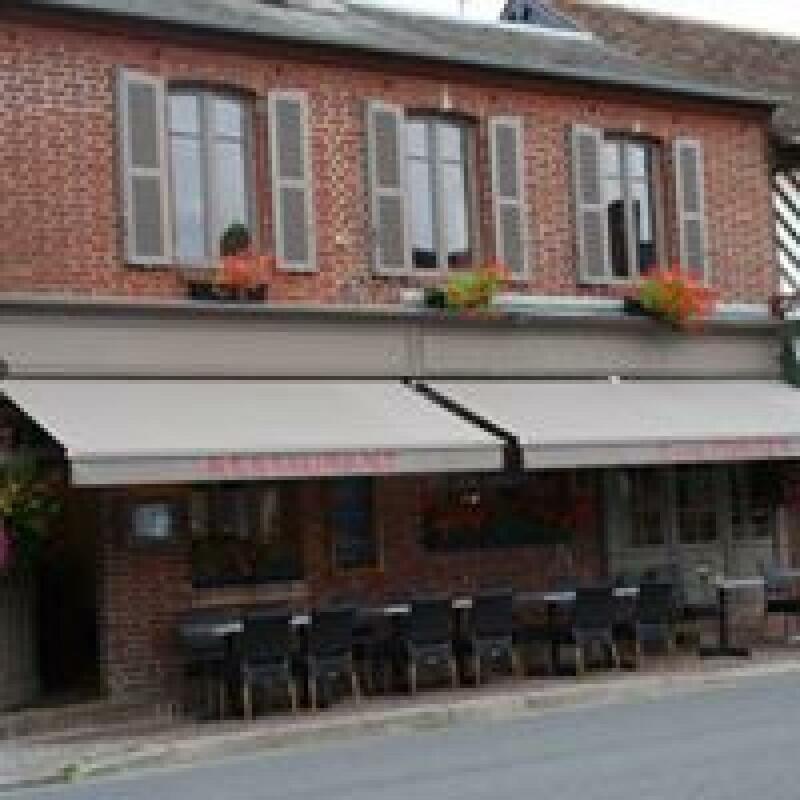 Located on the coastal road between Cabourg and Ouistreham, Au Pied des Marais restaurant is a greatstop for amateurs of fine terroir cuisine and seafood who also appreciate surprising preparations, which are what give the chef Thierry Ramard his reputation. Two different atmospheres in this establishment will allow you to enjoy this halt, one is contemporary,around the chimney and the other is more rustic under the screenedporch. 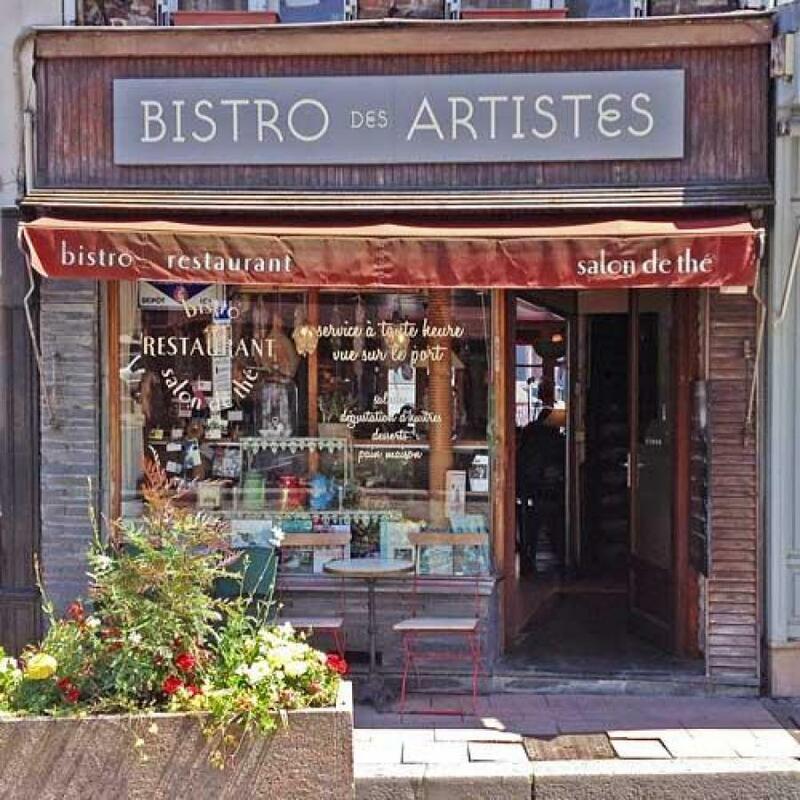 Le Bistro des Artistes is a small Bistrot that holds 20 people and is situated place Berthelot, close to Saint Catherine Church in the heart of Honfleur&apos;s old town. Everything is home cooked, generously served and made from fresh food by Anne Marie, the restaurant owner. There is no menu, only a blackboard, but a single dish can be your meal. 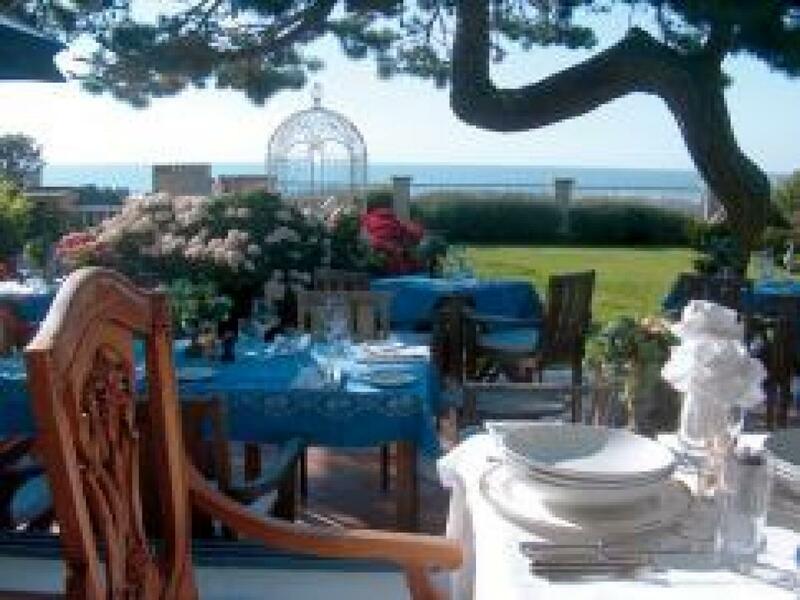 On the coast, between Honfleur and Trouville / Deauville, Le Bellevue opens it&apos;s doors onto a magnifiscent garden in a quiet surrounding with a panoramic sea view. The restaurant offers a choice of lobsters, substantial ‘plateaux de fruits de mer’ (seafood platters) and fish dishes as well as traditional Normandy cooking by Mickaël Roy, our Chef Disciple d&apos;Escoffier. After your meal you can relax in front of the chimney or on the terrace overlooking the sea. Right next to the St Catherine churchand Honfleur&apos;s old docks, passers-by are drawn towards the orginial atmosphere of Le Bréard. Guests are placed in one of two small rooms with a dominant of beige and brown tones and masters paintings placed here and there. 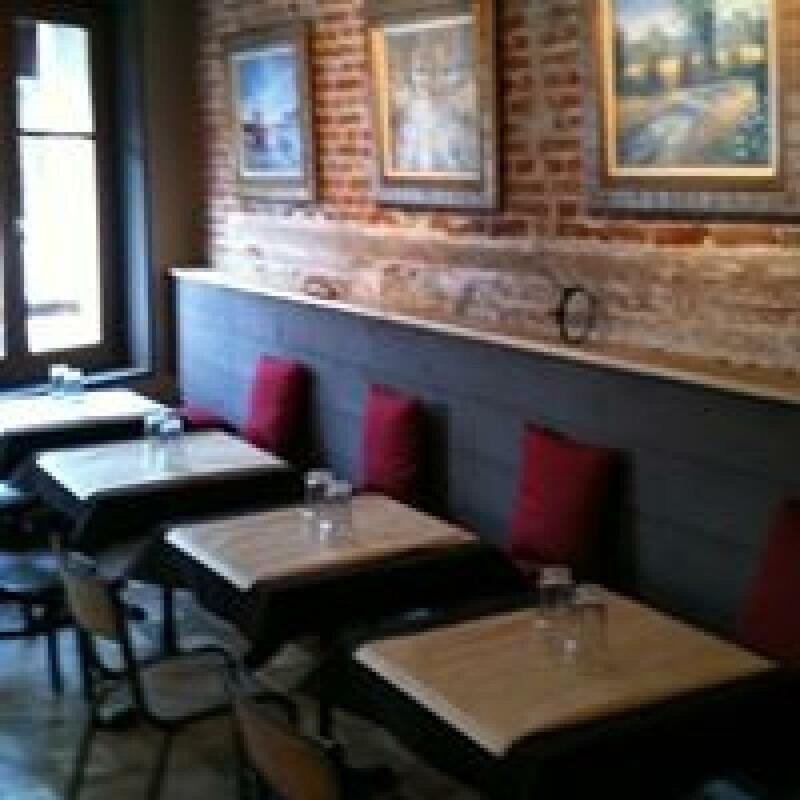 A restaurant for those who seek originality in the decor as well as in the cuisine. 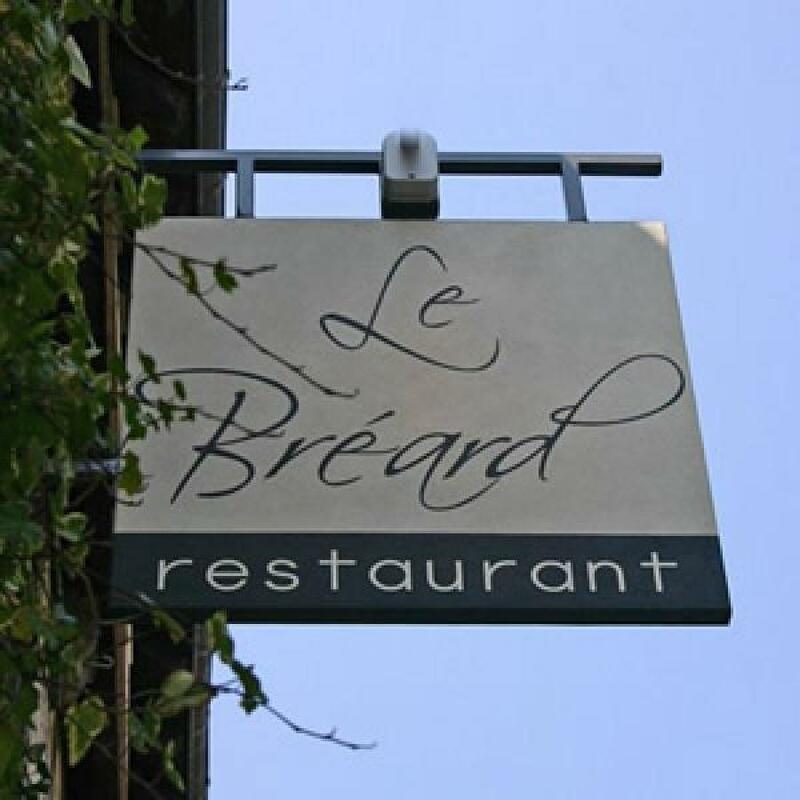 A great address close to the port of Honfleur where fresh and tasty products go together with beautfiul wines from small domains, perfectly selected by the owner of the restaurant who is extremely passionate about his products. Ce restaurant and wine bar is a unique place in Honfleur where one can share a few glasses of great wine that you can choose yourself, or select blindly for a bit of a surprise, while enjoying a tasty dish or just a few things to nibble. 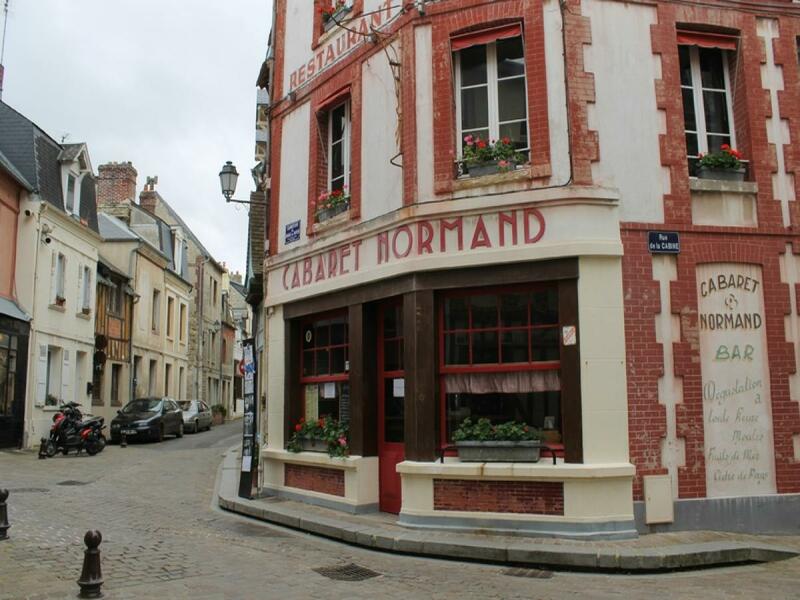 If you would like a little platter of cheese or cooked meats between friends with a couple of nice glasses of wine, this is the place to visit in Honfleur! This salon de thé invite you to the tasting: fresh products and of the home-made. Léopold cooks his tarts and desserts, he really looks after his presentation of his plates and his decoration. You will find some delicatessen. Here, the clientele likes tasting a brunch, a day tart with a coffee and some cake on its outside terrace. You will find different kinds of tarts and teas,copious and generous cooking, only fresh products.